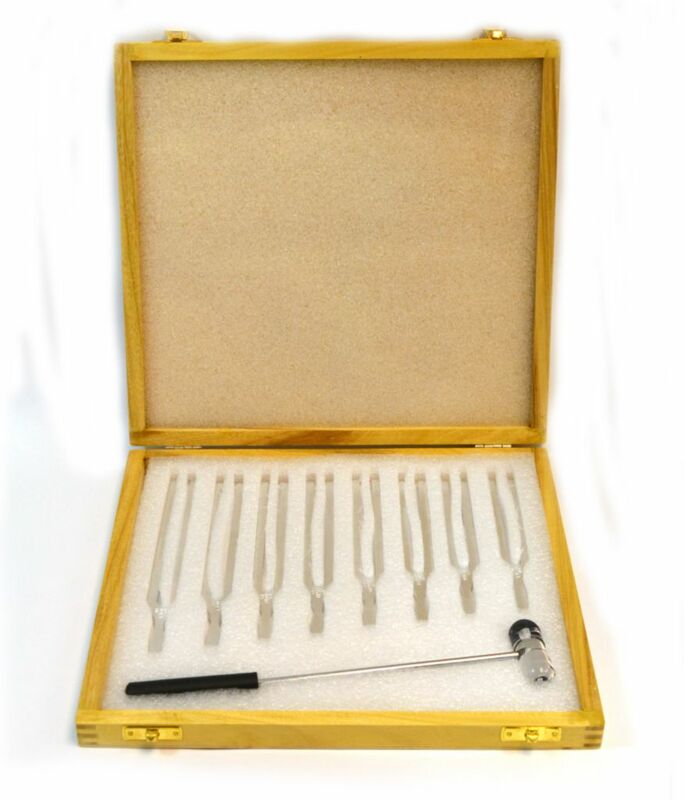 Premium aluminum physics tuning fork set with hammer. 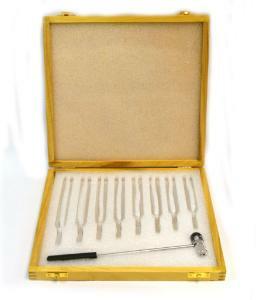 Tuning forks included: C (256), D (288), E (320), F (341), G (384), A (426), B (480), C (512). Designed for Physics experiments and actual frequencies can be ±5% stated Hz.